1. Promoting publication of research results of leading scientists and graduate students, doctoral candidates and competitors for academic degrees. 2. Paying attention to the most relevant, interesting and promising areas of agrarian science and practice. 3. Ensuring the exchange of ideas between researchers from different regions and countries. 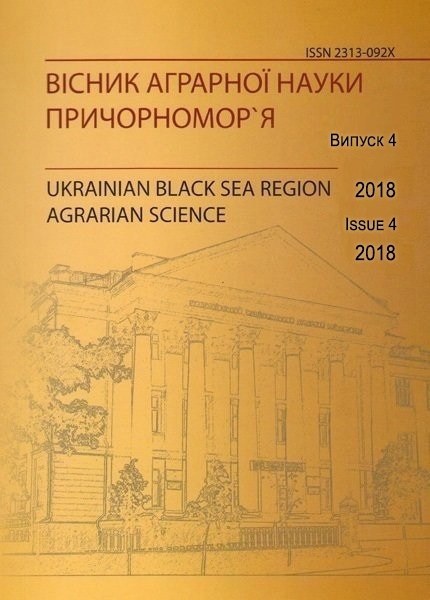 The editorial board of the Journal is constantly expanding range of authors, involving scientists from agrarian HEIs, Industrial Research Institutes, experts and heads of agrarian enterprises of Ukraine and abroad. The analytical materials and research papers which highlight the results of research on the economy, the problems of agrarian sciences and engineering are accepted for the publication. In order to ensure quality of published materials all items are tested for plagiarism, and only then can be reviewed. Accepted articles for publication are necessary to go through thee editorial process. MNAU is a founder and publisher of the Scientific Journal, takes the overall responsibility for supervision of research materials which are published in it. We are aware of the responsibility for the proper presentation of research results, including legal and ethical aspects which are set out below. 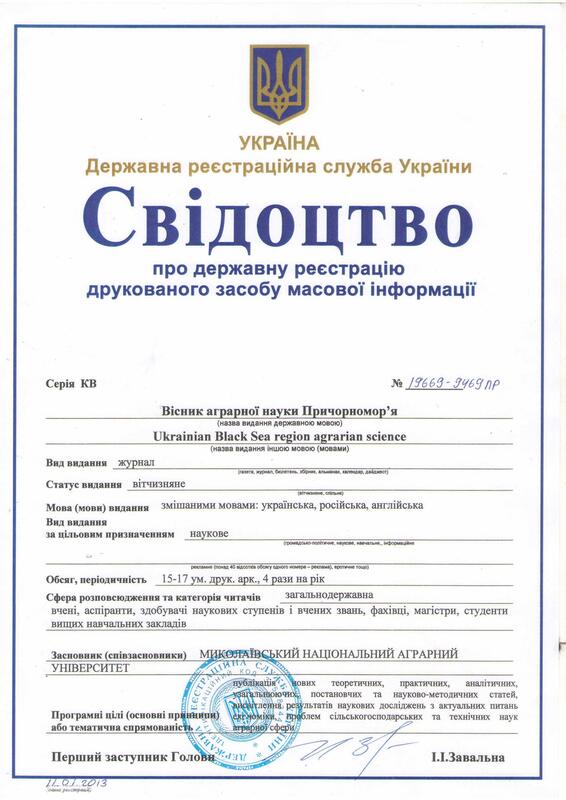 When developing the regulations of publishing policy of the journal “Ukrainian Black Sea Region Agrarian Science”, the editorial board followed the recommendations of Committee on Publication Ethics (COPE) and the experience of foreign and Ukrainian communities, scientific organizations and publishing editorial boards. The electronic resource of Journal has an open mode of access for readers who can use the published materials referring to the Journal and authors. The free usage of scientific publications with personal scientific, educational or cultural purposes is allowed in accordance with applicable law. Other uses are only possible after the conclusion of appropriate written agreements with the copyright holder.